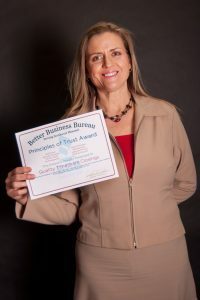 Quality Timeshare Closings received a third Southwest Missouri Better Business Bureau Award at the BBB Torch Awards for Marketplace Ethics gathering on Thursday, February 27, 2014 at the Ramada Oasis Convention Center Grand Ballroom in Springfield, Missouri. Having previous received two BBB Gold Star Certificates for no complaints in the previous 3 years’ reporting period, this new Principles of Trust Award recognized our successful efforts to apply the following qualities; Build Trust, Advertise Honestly, Tell the Truth, Be Transparent, Honor Promises, Be Responsive, Safeguard Privacy, and Embody Integrity. This award recognized again our complaint-free status for the past 3 years. 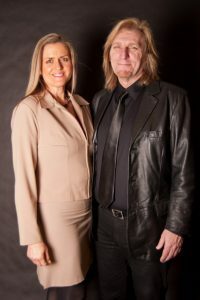 This award is very rare in the timeshare industry, which is wrought with problems such as deceptive marketing tactics, high pressure sales pitches, schemes where owners are repeatedly lied to, and transactions misrepresented at a loss of millions of dollars each year from innocent owners who are merely trying to unload a property they no longer wish to own. New timeshare scams pop up every day, and many inexperienced owners do not know who to believe, if there is truly a Buyer willing to pay the price being represented, and if they will actually ever see a dime of the promised proceeds. We provide a neutral third party timeshare escrow service to ensure that all parties are protected. Our clients put together an honest transaction with a written contract subject to real estate laws in their state. We refer timeshare owners to our timeshare real estate agent and broker clients regularly so they can be assured they are working with a legitimate company that will keep promises and deal fairly. We could not have earned these awards without the efforts of our timeshare title company affiliates, and licensed real estate timeshare resale brokers who themselves embody these attributes, so we wish to share the credit for our award with all of our clientele. THANK YOU!